Everybody knew that the copyright industry at the time had two options – they could embrace and extend Napster, in which case they would be the center of culture going forward, or they could try to crush Napster, in which case they would lose the Internet forever as there would not be another centralized point like it. The copyright industry, having a strong and persistent tradition of trying to obliterate every new technology for the past century, moved to crush Napster. It vanished. DirectConnect, LimeWire, and Kazaa — slightly more decentralized sharing mechanisms – popped up almost immediately, and BitTorrent a year or so later. This was about as predictable as the behavior of a grandfather clock: the cat wasn’t just out of the bag, but had boarded a random train and travelled halfway cross-country already. People had smelled the scent of sharing, and there was no going back. However, people wouldn’t repeat the mistakes of Napster and have a single point of failure. For the next couple of years, sharing decentralized rapidly to become more impervious and resilient to the onslaught of an obsoleted distribution industry. It is not a coincidence that The Pirate Bay rose about 2003. That time period was the apex of the post-Napster generation of sharing technologies. With the advent of the first generation of torrent sites, sharing slowly started to re-centralize to focus on these sharing sites. For a few years, DirectConnect hubs were popular, before people transitioned completely to the faster and more decentralized BitTorrent technology. This week, The Pirate Bay was taken offline in a police raid in Sweden. It may only have been the front-end load balancer that got captured, but it was still a critical box for the overall setup, even if all the other servers are running in random, hidden locations. Sure, The Pirate Bay was old and venerable, and quite far from up to date with today’s expectations on a website. That tells you so much more, when you consider it was consistently in the top 50 websites globally: if such a… badly maintained site can get to such a ranking, how abysmal mustn’t the copyright industry be? The copyright industry is so abysmal it hasn’t learned anything in the past 15 years. In the mere week following the downing of The Pirate Bay, there has been a flurry of innovation. People are doing exactly what they did fifteen years ago, after Napster: everybody is saying “never again”, and going to town inventing more resilience, more decentralization, and more sharing efficiency. 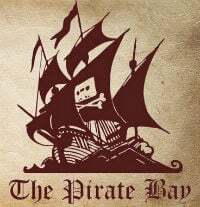 The community who are manufacturing our own copies of knowledge and culture had gotten complacent with the rather badly-maintained website and more or less stopped innovating – The Pirate Bay had been good enough for several years, even when its age was showing. I’ve seen signals from every continent in the past week that the past decade of decentralization technologies is getting pooled into new sharing initiatives. A lot of them seem really hot. Some are just hitting the ball out of the park if they get realized: everything from TOR to blockchain technology to distributed computing – components that weren’t there when BitTorrent first surfaced ten years ago. If realized, they should surface over the next few years, like BitTorrent surfaced three to four years after Napster with a bunch of other technologies in between. As a side bonus, these new initiatives will also protect privacy and free speech, which are both incompatible with enforcement of the copyright monopoly. So in a way, this was welcome. We need that innovation. We need to not grow complacent. We all need to stay ahead of the crumbling monopolies – a dying tiger is dangerous, even when it’s obviously insane. But The Pirate Bay’s legacy will never die, just like Napster’s legacy won’t. In the meantime, the copyright industry is a case study in how to really insist on not learning a damn thing from your own monumental mistakes in fifteen full years. c There are 146 comments. Add yours?